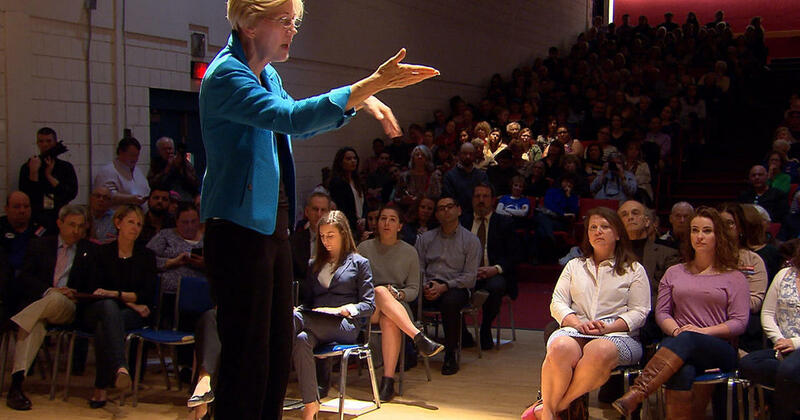 Elizabeth Warren Town Hall in Concord This Friday! Join us at the Concord Carlisle High School, 500 Walden St., Concord for Senator Warren's town hall. Review our Morning Coffee actions as you prepare your questions for Senator Warren. Doors open for the event at 5:30 pm. Town Hall begins at 6:30 pm. RSVP here. 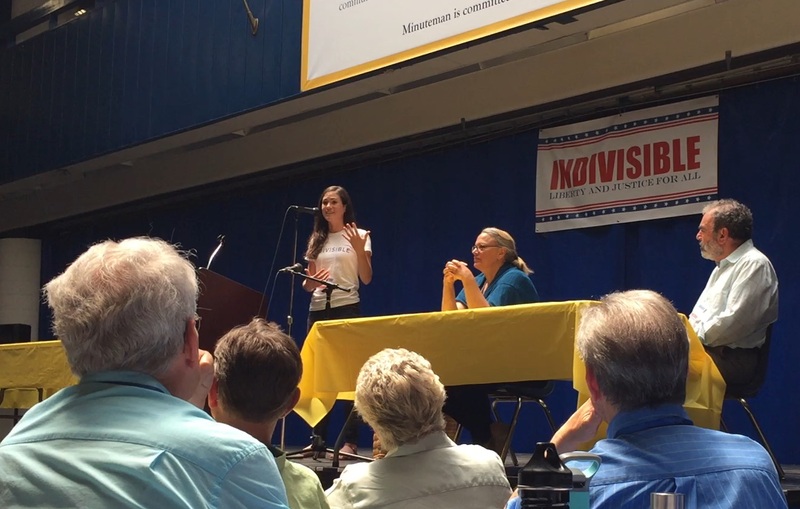 The first regional conference for Indivisible was held in Lexington back in June. The feedback on the conference was overwhelmingly positive and there was demand for another conference with more workshops and team networking opportunities. The planning committee has been formed and the next conference is tentatively scheduled for Sunday, November 12th, with the venue still TBD. In the wake of the openly violent acts motivated by racism and nationalism in Charlottesville, Indivisible is focusing this week's activity on organizing to fight this threat from white supremacist groups and their hateful ideology. We must confront white supremacy in all its sinister forms. One of the key ways of fighting this threat is to partner with organizations that have been in the business of fighting hate by supporting inclusion. The Democracy team has identified several such organizations in the Boston area and we are looking to partner with at least one of them to bring programs to MI membership. If you are interested in becoming involved with this effort, please contact democracy@minutemanindivisible.org. For information on inclusion, go to these Indivisible resources: How to be Inclusive and How to Build Inclusive Partnerships. Senate bill S.365 would require candidates for POTUS to disclose their tax returns in order to appear on a Massachusetts primary or general election ballot. It is time to make the release of tax returns a requirement versus a voluntary action. Please join members of MI as we head to the State House with other Indivisible groups to provide testimony on why this should be the law in MA. The hearing is set for September 6, 2017 at 1:00PM in room B-1. If you can't be present at the hearing, please submit written testimony. Here is a sample letter or you can draft your own; you can submit the letter directly to the members of the committee (which are on the top of the sample letter) or to democracy@minutemanindivisible.org and we will deliver it to the hearing. Lexington Community Center, 39 Marrett Road. The discussion will also include a selection of sites for future health care resistance actions and rallies as well as proposed amendments to the Affordable Health Care Act. Please bring a friend or neighbor to join in the discussion. Elizabeth Warren will be making remarks and answering questions about what's happening in the U.S. Senate. This is also a chance to talk with her staff about any questions or concerns you might have, or assistance you may need. Massachusetts Senator Mike Barrett will be joining Senator Warren. RSVP here. A chance for all MI team members to socialize and catch up as we gear up for the coming fall activism. If you did not receive the paperlesspost invitation with details, please email info@minutemanindivisible.org to get further information. Ethics/Conflicts of Interest. Immigrant Rights. Voting Rights. Come hear what the members of the Democracy team have been doing on these issues and help plan future actions. For more information, please email democracy@minutemanindivisible.org. Please join us for the next Healthcare meeting. Now that the House and Senate repeal and replace healthcare dramas are over, sabotage of the ACA has gone underground. We will be kicking off our healthcare advocacy efforts for the Fall and look forward to welcoming new members, or welcome back old members. At this meeting we will break into focus areas such as defending the ACA against sabotage, bi-partisan efforts to improve the ACA, single payor, or whatever other topics are of interest to the group. Check out this comprehensive, interactive timeline of the Trump-Russia relationship. Encourage your Representative to support H.Res.496 which is to condemn and censure the president for his comments after Charlottesville. Read this MassLive article about support for the bill in Massachusetts. Read all the details of H.Res.496. The Baker administration has released a new regulatory road map designed to guide the state in making ambitious cuts in climate-changing emissions. Massachusetts was one of the first states to take action to reduce emissions. The 2008 Global Warming Solutions Act (GWSA) requires Massachusetts to cut emissions 25 percent statewide from 1990 levels by 2020 -- and 80 percent by 2050. To find out more, read this article. One of our very own members, who recently moved here from Charlottesville, let us know that her former synagogue in Charlottesville is in need of funding for increased security. They have setup a GoFundMe page to raise money for their security needs. If you are interested in donating, here is the GoFundMe Page. For more information, read this moving article. Please support all the beneficiaries of Temporary Protected Status (TPS) who are in danger of having their immigration status terminated by Jan 2018. Presently these TPS beneficiaries are campaigning at the national level to request the support of US Citizens by signing letters that are addressed to the Governors of each state. Sign and send a copy of this letter to Governor Baker - support the thousands of Salvadorans, Hondurans, Haitians, Nicaraguans, and Syrians whose TPS will expire during the first quarter of 2018. For more information, see this link.